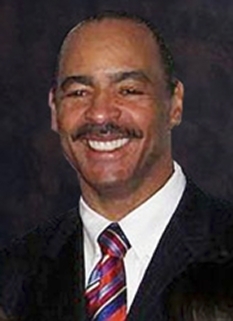 Kellen Winslow is widely recognized as one of the greatest tight ends in the history of the NFL. 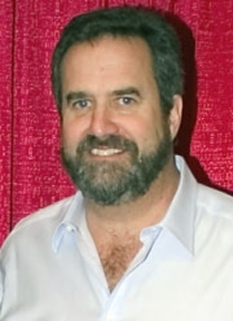 He was drafted in the first round of the 1979 NFL Draft by the San Diego Chargers and played for them until 1987, when he retired from football due to injury. 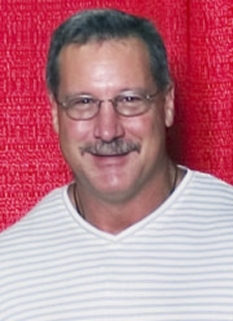 Winslow is frequently credited, along with Mike Ditka, John Mackey and Dave Casper, with redefining the position of tight end. Historically, tight ends were primarily blockers who also ran short pass routes. Winslow had the size to block and the speed to get downfield quickly along with great athletic ability to both make difficult catches and run well with the ball after the catch. Charger's head coach Don Coryell said, "If we're asking Kellen to block a defensive end and not catch passes, I'm not a very good coach." 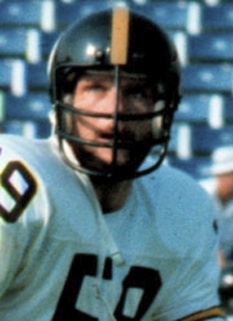 Winslow, as part of Air Coryell, led the NFL in receptions in 1980 and 1981, becoming the first tight end ever to lead the league in receptions in back to back seasons. He also exceeded the 1,000 yards receiving milestone in three different seasons, including setting a single season record for receiving yards (a record that still stands) by a tight end with 1,290 yards in 1980. 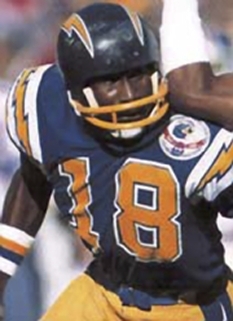 In a 1981 regular season game, Winslow tied a NFL record by catching five touchdown passes. 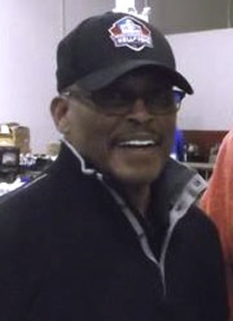 Winslow played in five Pro Bowls and was elected to the Pro Football Hall of Fame in 1995 and the College Football Hall of Fame in 2002. In his nine NFL seasons, Winslow caught 541 passes for 6,741 yards and 45 touchdowns. Winslow was a consensus All-Pro in 1980 - 82. 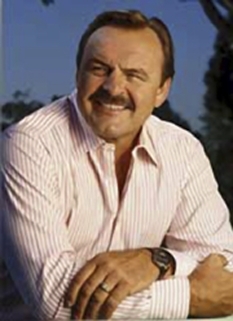 He is also a member of the NFL's 75th Anniversary All-Time Team. In 1999, Winslow was ranked number 73 on The Sporting News' list of the 100 Greatest Football Players. Winslow's son, Kellen Winslow II, also plays tight end in the NFL. 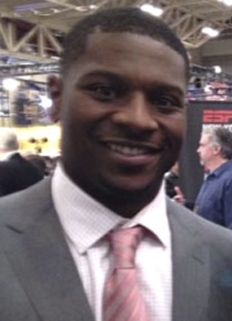 Winslow II was drafted in the first round of the 2004 NFL draft by the Cleveland Browns. DISCLAIMER: PFP Sports Talent Agency does not claim to represent itself as the exclusive agent for Kellen Winslow. PFP Sports Talent Agency is a booking agency that represents organizations seeking to hire pro athletes and sports personalities such as Kellen Winslow for speaking engagements, personal appearances, product endorsements and corporate entertainment. Fees on this website are estimates and are intended only as a guideline. Exact fees are determined by a number of factors, including the location of event, the talent’s schedule, requested duties and supply and demand. PFP Sports Talent Agency makes no guarantees to the accuracy of information found on this website and does not warrant that any information or representations contained on this website will be accurate or free from errors. We are often asked how can I find out who is Kellen Winslow's agent? To find Kellen Winslow appearance fees and booking agent details, you can contact the agent, representative or manager through PFP Sports Talent Agency for speaking fee costs and availability. PFP Sports Talent Agency can help your company choose the ideal sports personality for your next marketing campaign. To hire Kellen Winslow for an appearance, speaking event or endorsement, contact Kellen Winslow's booking agent for more information.